Greetings, dear readers, and happy Monday! I hope you had a wonderful weekend and your week is off to a wonderful start! It was an uneventful weekend around here although I have been busy with swatching and editing photos for on my blog. Let's jump in on today's post! A new month starting this week means another opening of the Polish Pickup store! 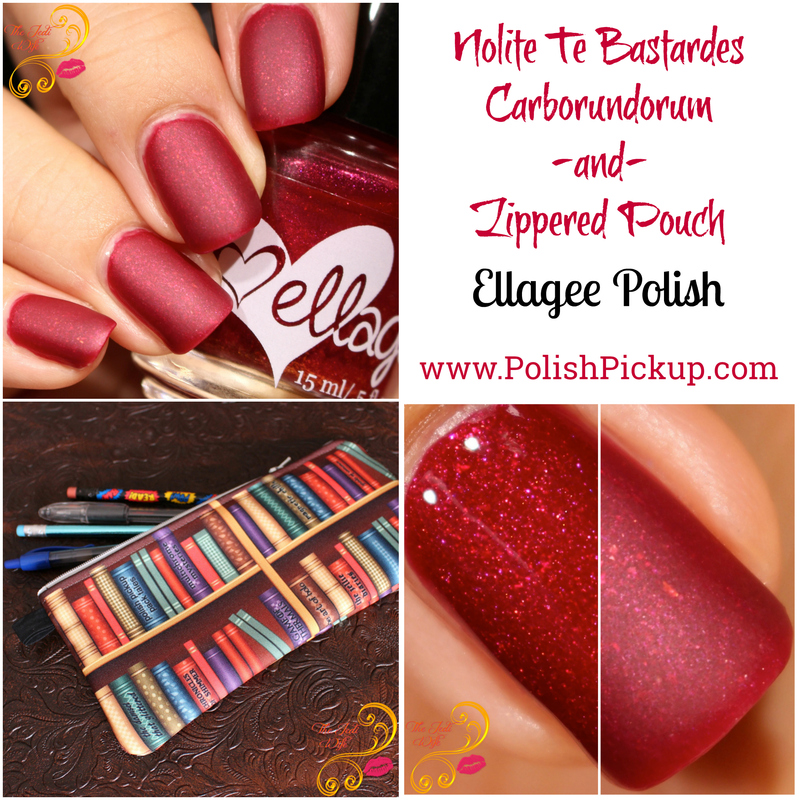 The theme for the March shop is Books, and for today's post, I have the offerings provided by Ellagee Polish to share with you. Let's first check out the gorgeous nail polish! Nolite Te Bastardes Carborundorum is a rich, deep red matte polish filled with red shimmer and bright red translucent flakes. This stunning shade was inspired by Margaret Atwood's book, The Handmaid's Tale. Technically, Nolite Te Bastardes Carborundorum is a grammatically incorrect Latin phrase that loosely translates to "Don't let the bastards grind you down". While the formula dries down a beautiful matte finish, it also look great with a shiny top coat as well. Check it out! While the inspiration may be a little dark, there is no doubt that Nolite Te Bastardes Carborundorum is what red polish dreams are made of! The colour is phenomenal in both the original matte finish and with a glossy look. The formula is on point and applies smoothly to opacity with two easy coats. Because it is a matte, the dry time is a little quicker than with the typical shiny finish, although it wasn't too quick where it could pose problems such as dragging. I adore everything about this polish, and I hope to see more polishes with a matte finish from Ellagee in the future! This polish will retail for $12, and there is no cap on the number that can be purchased. 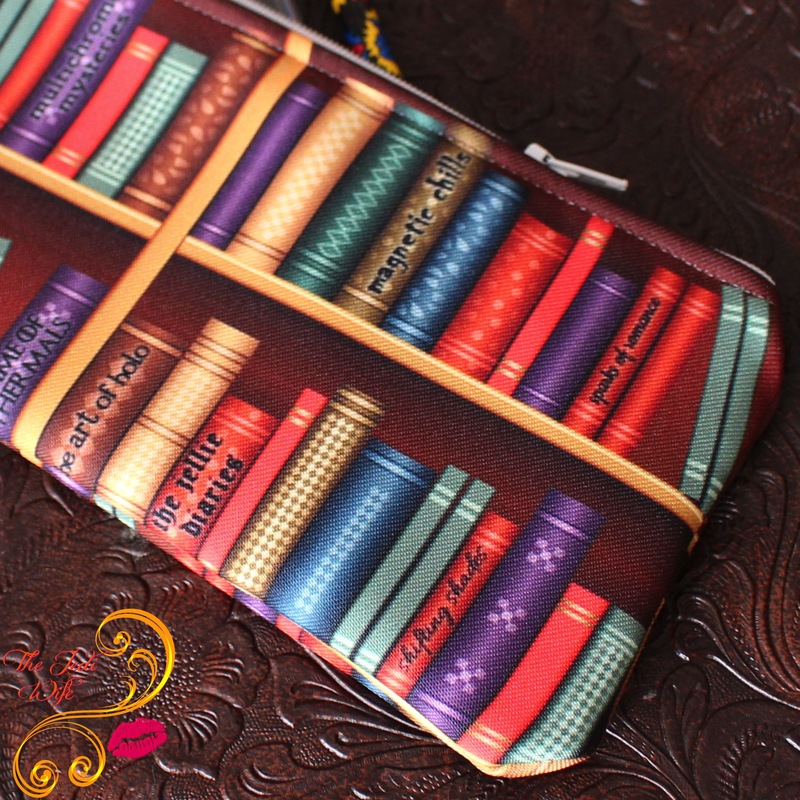 In addition to Nolite Te Bastardes Carborundorum, Ellagee Polish will also be offering an adorable book-themed zippered pouch. These bags are made up of machine washable, spun polyester poplin and are approximately 9 inches by 4 inches. 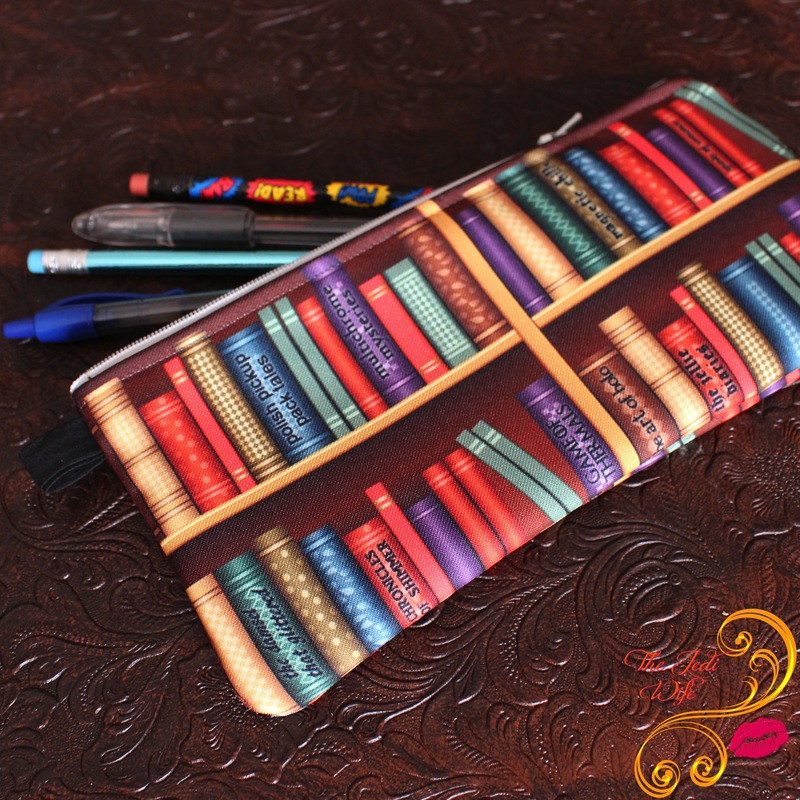 They are the perfect size for carrying your essentials with you, whether you prefer to carry around writing utensils or if you like to keep your manicure essentials handy. The book design is really cute to begin with, but the books themselves add homage to the nail polish fan with titles like "Multichrome Mysteries", "The Art of Holo", and "Chronicles of Shimmer" to name a few. Like the polish above, these zippered bags will retail for $12 each and there is also no limit. Both of these offering by Ellagee Polish will be available for purchase from the Polish Pickup store this weekend. The store will open from Friday, March 2nd through Monday, March 5th, and this is the only time and location that these particular items can be purchased. If you have your eye on either of these, be sure to mark your calendars you so don't miss out! As always, orders made to the Polish Pickup are submitted as a preorder, and orders will ship out in approximately three weeks after the shop closes. Are you excited about the book theme for the upcoming Polish Pickup? Do you prefer Nolite Tes Bastardes Carborundorum with a matte or shiny finish? What sorts of items would you keep in your own zippered bag? I'd love to hear from you! I love that bag, that is on my list! This is amazing - I love it both matte and shiny! The bag is adorable too! This is so pretty, I love the matte finish and the glossy finish and the little bag is super cute too. Ooo I do like it shiny! I've never seen red matte before, I really like how it looks. That pouch is super cute! What a gorgeous red! I love it both matte and glossy. I def want the zipper pouch. I love books! Ah, now this is classy! I like it better matte - I feel it is more The Handmaid's Tale when matte than when shiny, if that makes sense (probably not haha). I need that cute zip pouch! I'd use it to store bookmarks. I'm really digging this matte finish!!! And that bag is so cute!! I always love a red mani. Agree with Renu, it reminds me too of The Handmaid's Tale. I really like the glossy version! I love this series, the bag is super cute. I love your macro showing both finishes together!